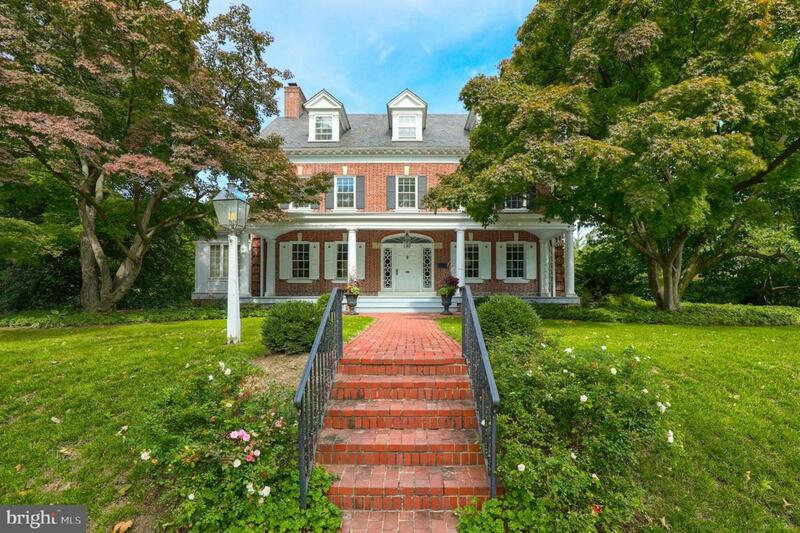 Step back in time to this magnificent three-level brick home built in 1911 with architectural details found only in older homes. And there's so much room with over 6,100 square feet of living space, seven bedrooms, four full baths and two half baths. The spacious corner lot is filled with mature trees, and the yard is beautifully landscaped. The home has easy access from a private back driveway with a gate leading to a two-car carriage garage. You'll enjoy a patio in the back yard that has a water fountain and pond. The updated kitchen with marble and walnut butcher block counter tops, heated flooring and a six-burner gas range will make any cook happy. Off the kitchen is a bright breakfast room overlooking the back yard. The second floor owner's suite with a gas fireplace is a peaceful place to relax and features an updated bathroom with heated marble flooring, soaking tub and walk-in tiled shower. The second floor also offers three more bedrooms and two full baths. The third floor is a great area with three bedrooms and a full bath. Additionally, a separate staircase on the second floor leads to a bonus room tucked away on the third floor by itself that can be used as a small bedroom, office, sewing room or so much more. A large living room with a gas fireplace and a splendid formal dining room make the main floor of the home a wonderful place for entertaining. You'll even find a sun porch on the first floor with wall to wall windows and heated flooring--a place of solitude year round. A partially finished basement is ideal for TV or playing games. This classic beauty includes a number of updates and improvements and is ready for you to move in. You'll love the convenience to downtown Lancaster as well. Call for a private showing today.